Galapagos Sea Lion (Zalophus californianus wollebacki) Bartolome island is home to a large colony of Galapagos Sea Lions. They lie on the beaches soaking up the sun. 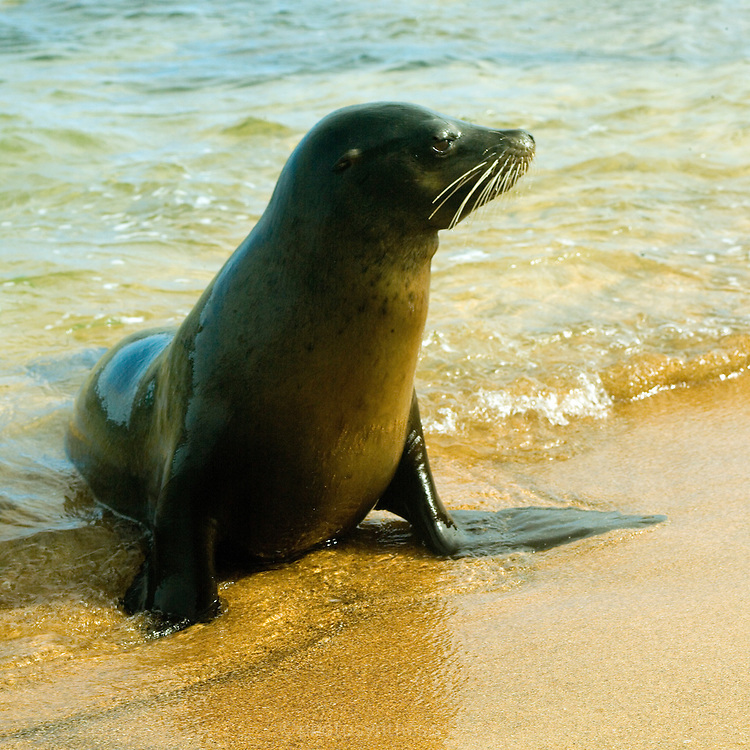 Sea Lions have a playful inquisitive nature. Adult males fight to win dominance for a territory including a Harem of between 5 and 25 females. Dominant males will fight off any intruders entering the territory. Each female in the harem has a single pup born a year after conception. The pups have a strong bond with their mothers who will nurture their offspring for up to three years. Mother and pup will recognize each other's bark from the rest of the Colony. The mothers can be seen nursing their young pups. Pups can often be seen together napping and playing with one mother 'baby-sitting' them while the other mothers go off to feed.